We are a Global Communication and Strategic Positioning Company, the largest one in Spain. Our own offices in 16 countries and our partners´ network, enables us to offer our customers global coverage. With over 350 professionals, made up of 30 nationalities and multidisciplinary profiles, we provide comprehensive solutions in more than 20 areas of expertise. We develop knowledge through research in collaboration with prestigious talent centers (IESE, IE and Deusto Business School). We publish studies, reports and books regarding the latest Communication trends. We organize encounters to promote closer ties between our clients and the key players, as well as their public objectives. We have been recognized with important national and international awards, such as the Sabre Awards, International Stevie Awards, Questar Awards, Mercury Excellence Awards, Best Place to Work, National Marketing Awards, or the Iberian Consultancy of the Year in the EMEA Sabre Awards 2018. We believe in the power of communication as a transforming tool, that’s why our CSR work seeks to foster and lead change, guiding our work and commitment towards a sustainable, social, economic and environmental horizon for all interest groups. Foundation of Inforpress, Press Office. We opened our first international office in Lisbon. The dotcom revolution. We created our e-communication division. In partnership with IE Business School Madrid and “Capital Humano” magazine we founded the 1st Observatorio de Comunicación Interna (Internal Communication Observatory). We became partners of United Nations Global Compact.  In partnership with ISES we developed the Foro de Buen Gobierno y Accionistas (Forum of Good Governance and Stockholders). We expanded to Latin America starting with Brazil and soon afterwards Colombia, and Peru, following big companies like Coca-Cola, Mineros and Pacific Rubiales. Thanks to the opening of new offices in Argentina, Dominican Republic and Paraguay this year, we are now present in a total of 16 countries all over the world.